Melbourne Music Week (MMW) this morning unveiled details of its free programming during its nine days. They include live music, talks and explorations of sight and sound. The opening night will officially kick off with a Welcome to Country at Fed Square on Friday, November 16 at 6pm. It acknowledges the traditional owners of the land on which MMW gathers and pay respect to their elders past, present and emerging. 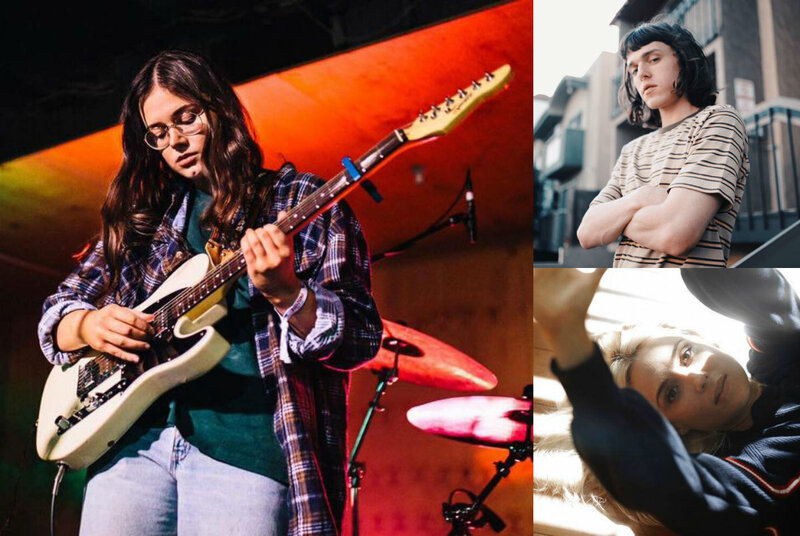 It will be followed by an all-Victorian line-up grace the stage at Fed Square, with free sets by DRMNGNOW, ALTA, Sui Zhen and Ara Koufax. Fed Square will host a slew of live local acts throughout the week. On Friday, November 23, Claudia Jones with her 10-piece disco band will perform, while indie rock act Rudely Interrupted and singer-songwriter Ben Hazlewood round out the working week. The following night sees Allday, Ali Barter, Ruby Fields and KIAN jump up for The Push’s 30th Birthday, Push Over, with guests from Jebediah, Spiderbait and Something for Kate. The new MMW Busking Program invites emerging talent to partake in a paid programming slot throughout the week. Inspired by the example of Tash Sultana, the program was initiated by City of Melbourne to celebrate and encourage busking as a legitimate pathway into the music industry. From the Night Noodle Markets at Birrarung Marr through to CBD alleyways and arterials, Melbourne’s up-and-comers will bash out their best, also taking home a 12 month permit to continue their craft. There is also a huge program of free panels and discussions under the MMW: Talks umbrella. Topics include ethics in music journalism, Melbourne’s night-time economy, sound healing and music therapy, connecting to the Chinese music market, how to run inclusive music events and more. The MMW: Talks program will also feature MMW headliner, techno legend Jeff Mills, in discussion with filmmaker Amiel Courtin-Wilson (Bastardy, Ruin, Chasing Buddha) on the visual worlds of music. The MMW: Talks program is held in multiple locations across the city including NGV, MPavilion, State Library Victoria, SIGNAL and Melbourne Town Hall. The Sound School 2018 Showcase on Saturday, November 17 is a free, all ages event that hosts debut performances from synth, DJ and music production names from SIGNAL Arts, Phoenix Youth Centre and Footscray Community Arts programs as well as artists from their 2018 electronic music workshops in Melbourne. Melbourne Symphony Orchestra’s ensemble in residence, PLEXUS, is at the NGV on Sunday, November 18. The daytime performance is a contemporary response to the Roger Kemp tapestries that adorn the Great Hall and is free with registration. Later that afternoon, Wergaia and Wemba Wemba woman and winner of triple j’s Unearthed National Indigenous Music Awards, Alice Skye, will perform for free at the stunning MPavilion, showcasing her new debut album Friends With Feelings and its rumination of love, loss and life..
On Wednesday, November 21, Jack Daniel’s presents a free gig at Cherry Bar featuring breakout indie-rock band Slowly Slowly who issued their new album St. Leonards. On the same night, Rooftop Cinema presents NOW SOUND: Melbourne’s Listening – a feature-length documentary exploring Melbourne’s love for music, directed by Tobias Willis and produced by music journalist Marcus Rimondini. 13 live music venues open their doors for free on Thursday, November 22 as part of Live Music Safari. From 3pm to 5am, locals such as Last Chance Rock & Roll Bar, Section 8, The Toff, Boney, The Curtin, Belleville and Cherry Bar will host the likes of HABITS, Mesa Cosa, HEXDEBT, Huntly, SILENTJAY, Regurgitator, Warped and Vince Peach. Friday, November 23, has post-punk electronica legend, Ollie Olsen perform alongside guitarist and sonic chanteuse, Penny Ikinger, in the State Library Victoria’s stunning Redmond Barry Reading Room. For more detail on MMW’s free programming, visit the Melbourne Music Week website.